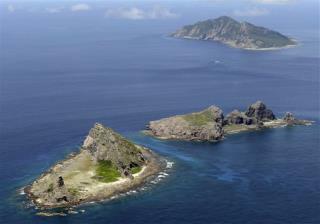 (Newser) – The Chinese Defense Ministry today issued a map of a newly identified air-defense zone in the East China Sea that includes a chain of disputed islands also claimed by Japan. The move triggered an immediate protest from Tokyo. Beijing also issued a set of rules for the zone, saying all aircraft must notify Chinese authorities and are subject to emergency military measures if they do not identify themselves or obey orders from Beijing. It said it would "identify, monitor, control, and react" to any air threats or unidentified flying objects coming from the sea. Ironic that U S capitalist greed has created the newly emerging power house in Asia. Japan is looking at the U S going "what a greedy bunch of dumb asses you are."